C50 --> C90 --> FLHX --> GL1800/FXSTS --> FLTRU/DL650 --> FLTRXS --> ? Does the TP paint match? Can you post some pics from the side? My 19 will not be in until mid December but ordering my accessories now. I see you have the CVO Limited 2 up seat on her. Is it the 2019 version with the red stitching? Were there any fitment issues? Did the RG have a place to plug in the seat heat? How is it for comfort over the stock seat that came on the bike? How much did it increase your ride height for your feet on the ground? I am only 5'8" so need to be kept low as possible. My present 16 CVO SG has the same type of seat that comes stock on the 19 RG. It is okay for short runs but kills me after a couple hours and have to put my air hawk on. I was used to my 16 cvo ultras seat. Very disappointed with the seat that came with my 19. No spot for a riders back rest, it looks like there is a slot but in fact it is a Harley logo. I ordered the cvo seat off a 19 cvo SG perfect fit interchangeable. Had to by an adapter harness to hook up the seat. Also had to buy matching passenger foot boards for the wife instead of the pegs with the adjustable brackets I am embarrassed to say cost me $1000.00 with my discount. Didn’t see that one coming. I also put heated grips on because I live in NH and try to squeeze every day in another 500.00. 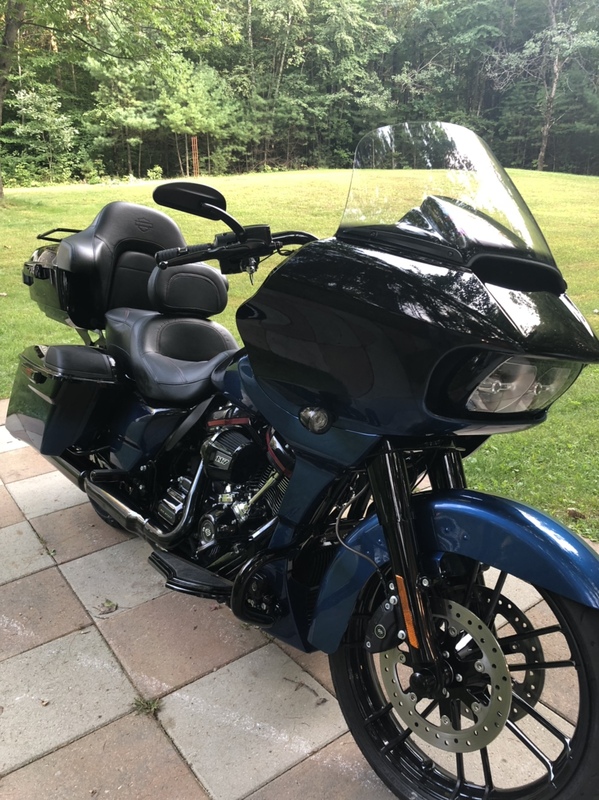 I’m no spring chicken at 60 but ha e been riding all my life and this being my 3rd cvo was surprised that I came without a lot of the items that came on my ultra. 16 was water cooled and this one is oil cooled so no lower fairings and comes with a chopped crash bar that leave you limited on leg protection options (none). Cost almost 7000.00 to get the bike the way I liked it. Harley wins yet again. Hope this helps. Oh just read back your questions. I also am 5’8 and I find the height still good. I can get both feet down flat. Can you explain this line? 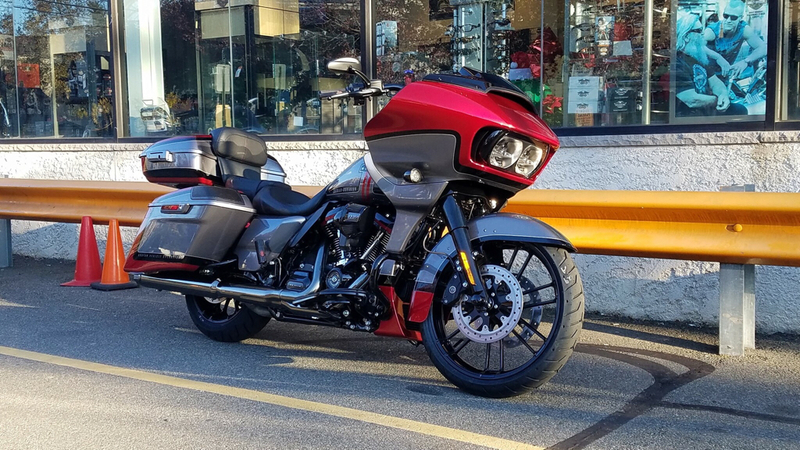 "I ordered the cvo seat off a 19 cvo SG perfect fit interchangeable." Was the CVO seat a protected CVO order? I know what you are talking about regarding the cost to get the bike to fit us! The bike alone up here is $54,000 then we get to add 13% tax on that! The CVO seats are not VIN restricted. The badging and alot of other parts are. But seats are not. 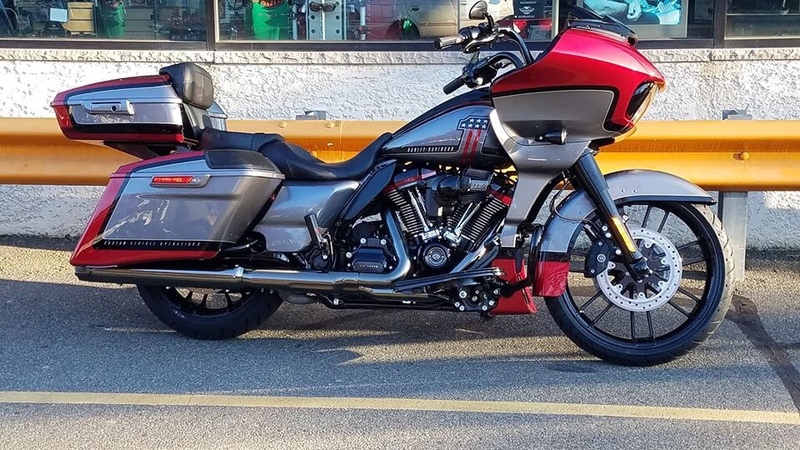 I have already ordered the 2019 CVO Streetglide seat to put on my red 2017 CVO Streetglide. Chopped and King in the PDF Catalog $1599.95, Chopped is shown. I run a Corbin seat on my 2010 FLHXSE and after almost 30,000 miles on it love it. Has anyone put one on a 19 Road Glide? The days that I keep my gratitude higher than my expectations, those are really good days. Ordered my color matched pepper King tourpack when I got the bike last week. The dealer doesn't think I'll see it for 45-60 days. I rode 980 miles in 4 days to Daytona and around Central Florida. The seat still doesn't seem broken in(or maybe it's trying to break me in!). I can't seem to get used to the angle of the brake pedal and reaching under around the Heavy Breather to get to it isn't very comfortable. Very good power and torque, 21" wheel is a good fit on this frame and suspension. I was supposed to get mine today, but now it’s going to be 2 more weeks. I had one when I bought the bike, but the dealer broke it trying to drill up the wrap around brake light. I don’t understand how they got the first one in a week and the second one takes over a month! Not mine but saw these in the group on Facebook.